Martin Tyler's stats: Paul Pogba scores, Manchester United win? Who has the best record on opening day? Is Stephan Lichtsteiner one of the oldest Premier League debutants? Do Manchester United always win when Paul Pogba scores? 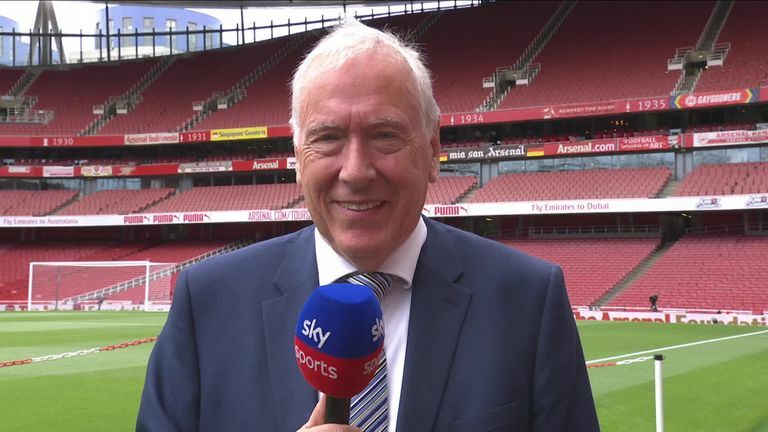 Sky Sports commentator Martin Tyler has the answers to those questions and more in his first stats column of the 2018/19 Premier League season. Got a question for Martin? Tweet @SkySportsPL with #TylersTeasers. Raheem Sterling scored his 50th Premier League goal at Arsenal on Super Sunday, including 26 in his last 65 appearances. He only got 24 in his first 128. Of those 50 goals, it was the fourth against Arsenal. 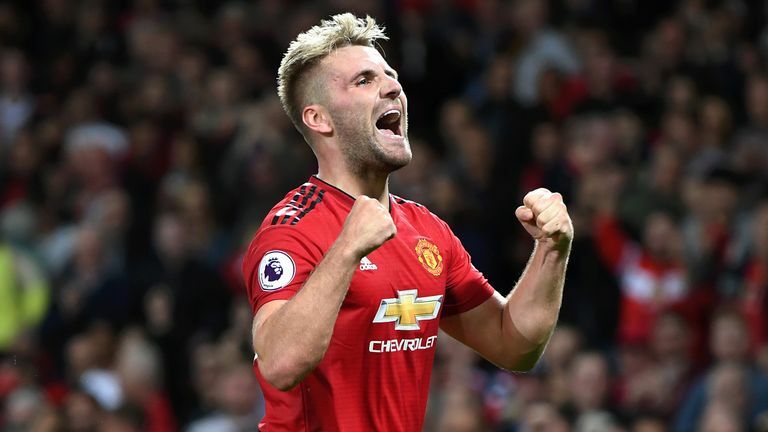 He became the 11th player to reach 50 Premier League goals under the age of 24. This was Man City's fourth consecutive win over Arsenal in all competitions. That last happened between 1935 and 1937 - which is when City became champions for the first time. It was the seventh successive season in which Arsenal have started the season at home and the fourth in the last six they have lost. In 2013 they lost at home to Aston Villa, in 2015 they lost at home to West Ham and in 2016 they lost to Liverpool. 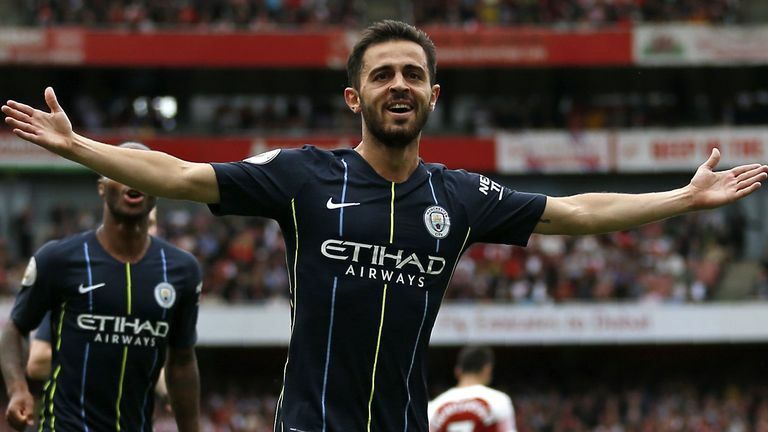 Bernardo Silva has played in 58 league wins in the last two seasons, the most of any player in major European leagues (in 2016/17 with Monaco and last season with Man City). He scored on Sunday two days after his 24th birthday. MARTIN SAYS: Chelsea hold the record for the best run of results on opening days in the Premier League after winning nine in a row from 2002-2010. Their streak was ended by a goalless draw with Stoke in 2010/11. City's current run started in 2011 and they notched up their eighth opening-day win a row with a 2-0 victory against Arsenal on Sunday. Arsenal and Liverpool won five in a row between 2001-2005 and 1998-2002 respectively. In terms of the worst run of results on opening days, QPR lost six in succession during their seasons in the Premier League between 1993-2014. Charlton and Wigan both lost four in a row from 2001-2004 and 2005-2008 respectively. Surprisingly, the reigning Premier League champions had lost their opening game in each of the last two seasons (Leicester lost 2-1 at Hull in 2016 and Chelsea lost 3-2 at home to Burnley in 2017). The champions have never lost on the opening day for three successive seasons in English top-flight history. MARTIN SAYS: Arsenal's new defender was 34 years, 209 days old which makes him Arsenal's oldest Premier League debutant, but not the oldest debutant of all. In theory, the oldest player to make their debut in the Premier League is Trevor Francis, who played in the newly-formed Premier League aged 38 years and 125 days old for Sheffield Wednesday against Chelsea in August 1992. However, he'd played plenty of top-flight matches before then. The oldest player to make their top-flight debut in the Premier League era is therefore Burnley's Graham Alexander (37 years and 310 days). The likes of Roberto Mancini (36 years and 54 days), Richard Gough (36 years and 339 days days), Bruno (36 years and 315 days) and Fernando Hierro (36 years and 151 days days) made Premier League debuts after turning 36. MARTIN SAYS: It's a joint record, but not an outright record. Pogba's goal against Leicester on Friday Night Football saw him move level with Ryan Babel on 11 wins from 11 games that they have scored in. Another Manchester United player is third in the standings, with Chris Smalling having won all 10 Premier League games when he has scored. Former Liverpool defender Daniel Agger won nine from nine while Alexander Hleb and Lee Chung-yong won all eight games they scored in for Arsenal and Bolton/Crystal Palace respectively. Others players have not enjoyed as much success when they have scored. Michael Kightly did not win any of the seven Premier League games that he scored in for Wolves, Stoke and Burnley. Andy Mutch scored six Premier League goals for Swindon and didn't once taste victory, while Claus Thomsen did the same for Ipswich. 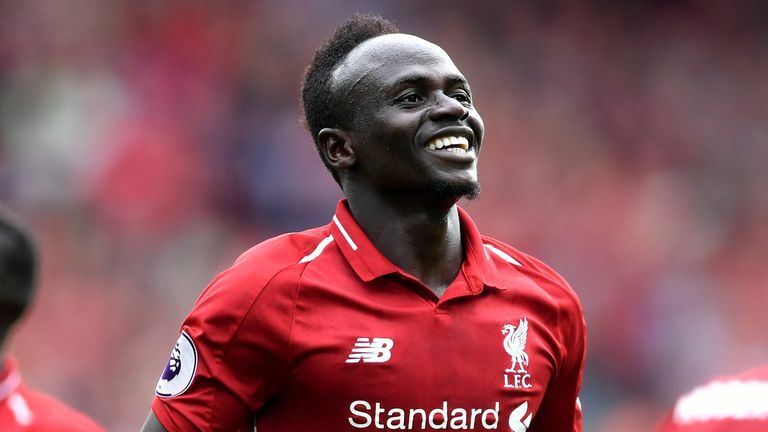 Can Mane make it four? MARTIN SAYS: Liverpool's Mane became the sixth player to achieve the feat when he netted twice against West Ham on Sunday. Teddy Sheringham is the only player to have scored on four successive opening days from 1992/93 to 1995/96. The former England striker netted for Nottingham Forest to start the 1992/93 season - the first live Premier League goal scored on Sky Sports - before joining Tottenham and scoring in the first game of the following three seasons. Louis Saha managed three in a row for Fulham from 2001/02 to 2003/04 and Thierry Henry did the same for Arsenal over the same period. Alan Shearer scored on three successive opening days for Newcastle from 2002/03 to 2004/05 and David Silva also managed three in a row for Manchester City from 2013/14 to 2015/16. MARTIN SAYS: Only two players have scored inside a minute of coming on as a substitute since the opening day of the 2006/07 season (when Opta started tracking this stat), and one of them is Sturridge. However, his goal is not the fastest in that time. Matt Derbyshire scored just 22 seconds after being introduced from the bench for Blackburn in 2007/08, with the goal turning out to be the winner in a 2-1 victory over Middlesbrough.